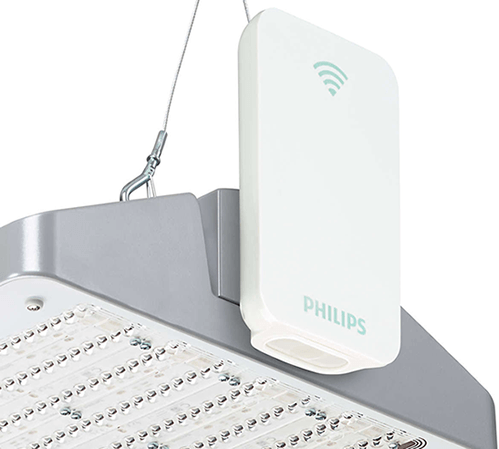 Philips GreenWarehouse is a future-proof and flexible lighting system designed for a facility of any size and is suitable for both open spaces and racking. In the past, conventional lighting technology and lack of lighting controls meant that lighting had to be permanently on for safety. In 24/7 operations such as warehouses, this was costly to run and not sustainable. Now, GreenWarehouse puts an end to those days – by delivering lighting ‘on-demand’. 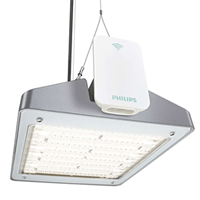 It’s a perfect solution for new build or retrofit projects – simply replace existing light fixtures point for point, and add wireless controls. So if you’re ready to save 50% on energy costs in comparison with non-controlled, fixed-output lighting installations, it’s time to choose GreenWarehouse. Easy to implement and install, it means you can have your warehouse, your way. Lighting has always been a challenging issue in 24-hour warehouse environments. Designers and specifiers are more focused than ever on reducing the use of energy in warehouses and making the environment a more attractive and productive place to work. 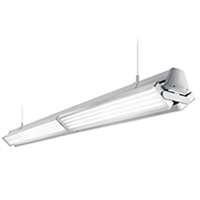 With the latest generation of LED technology, it’s possible to increase light quality and flexibility while reducing the time and money associated with maintenance. It’s future-proof and it’s flexible. Above all, it’s efficient. With Philips GreenWarehouse, you can typically save 50% on energy costs compared to non-controlled LED installations with fixed output. That’s because smart lighting systems can anticipate and respond to the changing needs of the people who are using them. And in addition to this greater personalisation, you get to see an increase in productivity and improved safety too. The Philips GreenWarehouse system is fast to implement and easy to install, whether you’re refurbishing your existing operation or developing something entirely new. Now, you really can have your warehouse, your way. 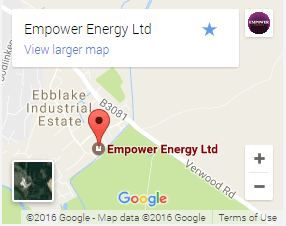 Financing Your Project: , Empower are Carbon Trust accredited suppliers with grants available for LED projects within the commercial sectors, and finance through our gold partnership with Siemens financial services. Philips capital solutions are also available. Capital expenditure, dependant on size of the project can be a deciding factor for organisations considering projects such as these. Leasing or financing options work on financing the project costs and the electricity savings covering the loan repayments. Movement detection is integrated into the fittings, and light intensity can be easily reconfigured. That’s a big advantage. You can install GreenWarehouse in number of ways, to suit your specific application and needs. 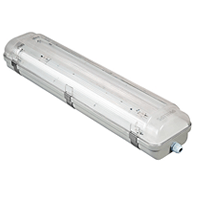 Choose from a range of robust luminaires - mixed to suit the different area lighting requirements in your warehouse – combined with wireless controlled presence detection units. Whichever system make up you choose, you can be sure it delivers flexibility and substantial energy savings for your Warehouse operations. With A LED Lighting Grant From The Carbon Trust Funding & Empower Energy. Empower are Carbon Trust accredited suppliers with grants available for LED projects within the commercial sectors, and finance through our gold partnership with Siemens financial services. Philips capital solutions are also available. Capital expenditure, dependant on size of the project can be a deciding factor for organisations considering projects such as these. Leasing or financing options work on financing the project costs and the electricity savings covering the loan repayments.